For the past year and half, I’ve walked or driven by this simple sign tucked along the side of the road between the grocery store and residential houses. Behind this sign grows a thicket of trees. Ever since I first saw this sign, I wanted to explore this cemetery. 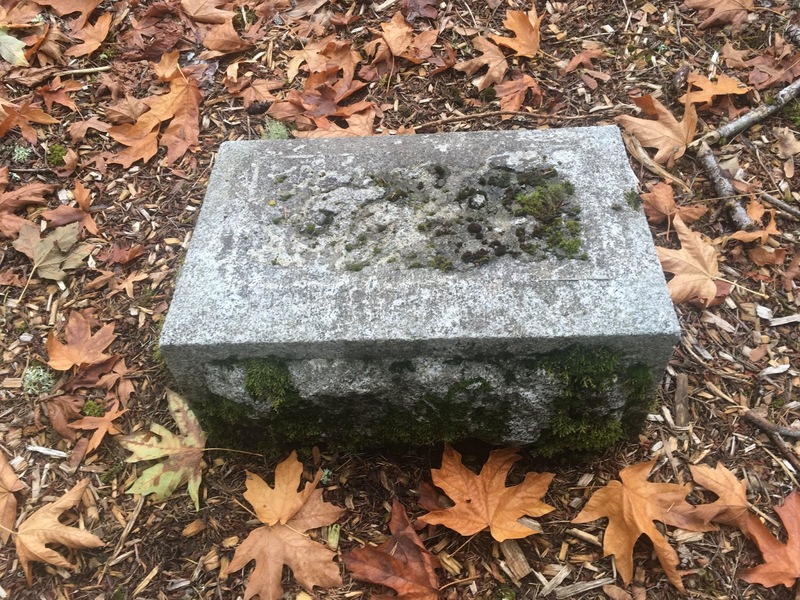 This may sound morbid, but I find historic graveyards fascinating. Reading the names of people who passed this way in a bygone era. People who lived lives just like me and you. 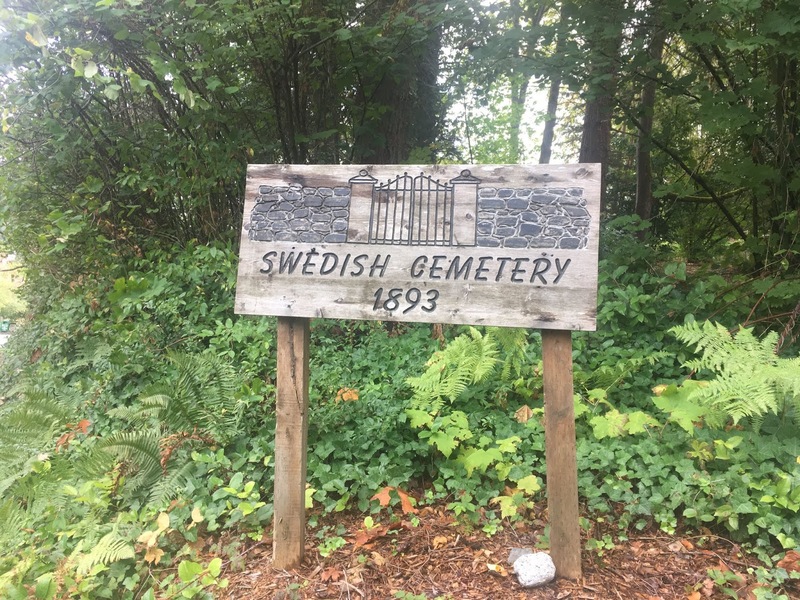 This cemetery is on the national historical society registry. I could imagine the history it must hold. I love to look at headstones and read what is carved there. My husband also expressed an interest in perusing this historical treasure. We finally stopped talking about it and went exploring. We entered this hallowed ground and immediately went to the right, which was sort of straight ahead. I couldn’t wait to discover the first headstone or marker to see who had passed this way. I looked to the left and right of the path. Bushes, trees, vines, and grass. Where were all the headstones? Much to my dismay, the cemetery wasn’t much bigger than a house lot camouflaged by trees. More disappointing was walking two-thirds of the way around the central clump of trees without spying nary one gravesite. How can a place be called a cemetery with no dead people? That is kind of the definition and purpose of a cemetery. It marks people who have lived before for future generations to appreciate. 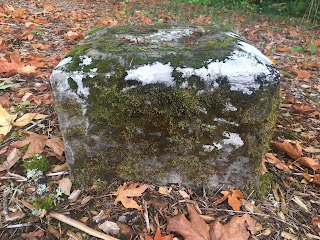 Just when I thought this to be a grave-less cemetery, we happened upon two moss-covered cement markers. How exciting. Who were these people? 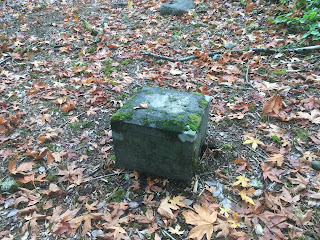 The markers were so weathered that the names could no longer be read. I could tell that the indentations on the top had once formed letters, but what letters, I couldn’t tell. I could make out what could possibly be a T or E or B? 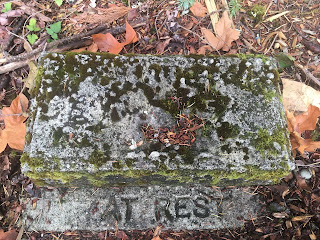 But on the lower ledge “AT REST” could clearly be read. How sad that these people’s names had been weathered away. Almost as though they had never existed. Because of their position, I’d guess that they were a husband and wife. A little farther on (and almost to the end of the loop) were four more markers. All too worn to read anything except one that had a name engraved on the side where the weather hadn’t beaten it into unreadable depressions. The name, clear and easy to distinguish, JOHNSON. 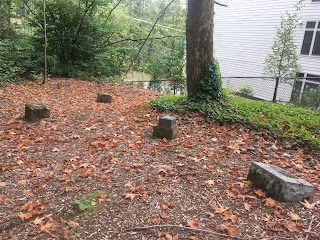 We looked among the trees and bushes, as best as we could from the path, to see if we could spot any other gravestones without any luck. I wondered if there weren’t many more graves there than the headstones that remained revealed. 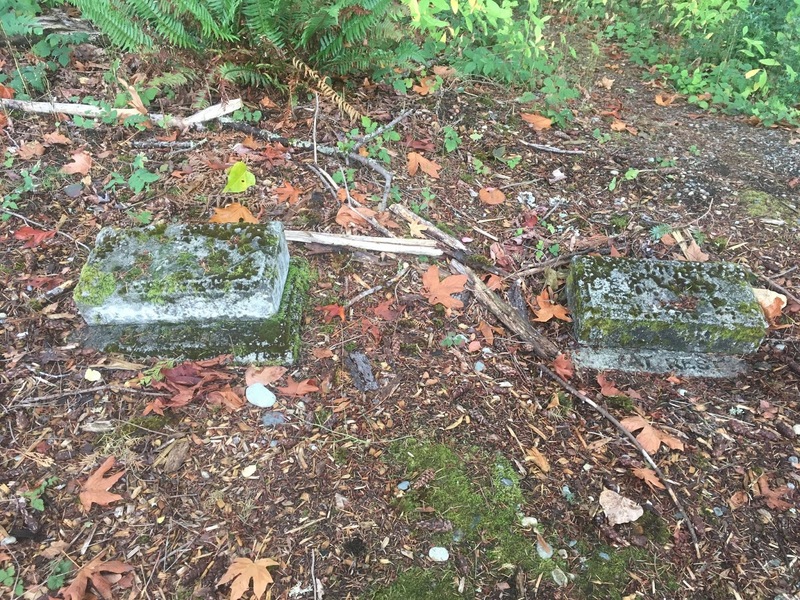 Perhaps many wooden crosses or board markers had decayed over time, taking the secret of who lay beneath with them. 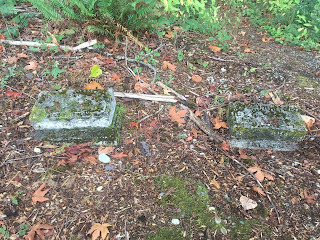 Possibly other markers are buried under a layer of dirt or grown over by underbrush. So, when I got home, I did a little research to find out more about this little piece of history. In 1893, Johannes (St. John’s) Swedish Lutheran Church was founded in Bothell, WA. Two years later, a church building went up. 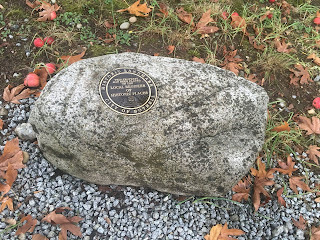 Charles Erickson, a charter church member, donated one acre of land from his homestead for a cemetery. 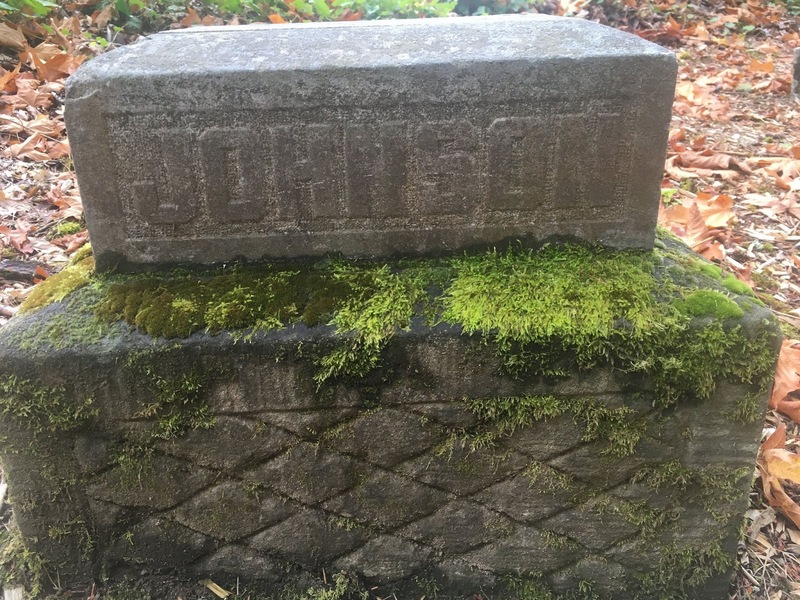 Johannes Johnson was the first to be buried there in 1901. 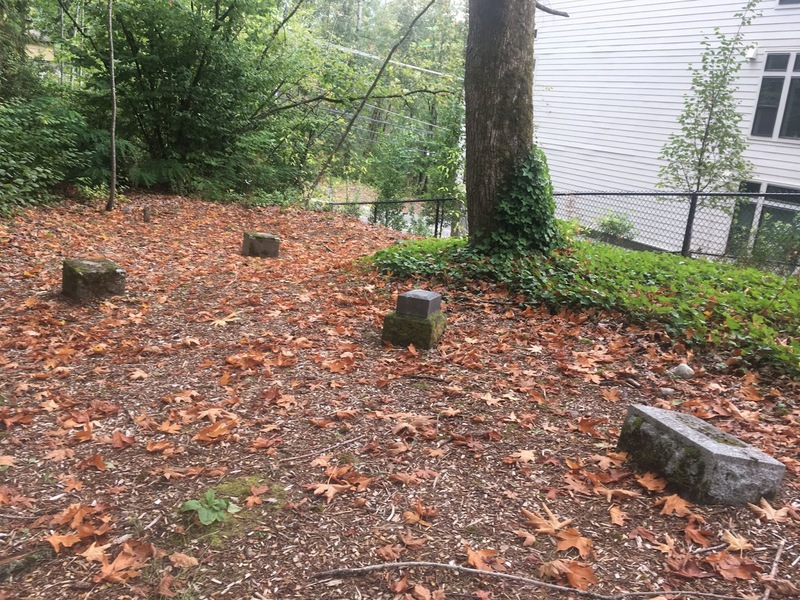 Alfred Pearson and Eric Jacobson, other charter members of St. John’s Church, granted permission for transients to be buried in the cemetery; their graves usually went unmarked. 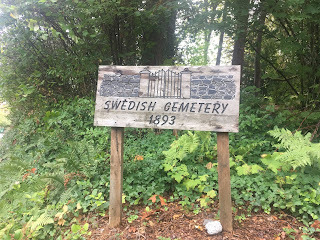 The Swedish Cemetery contains the graves of important pioneers who came to Bothell prior to 1885. In 1927, the Swedish Lutheran Church disbanded. Bethany Lutheran Church received the title to the cemetery and then the title passed to Augustana Lutheran Retirement Home, now called the Columbia Lutheran Home in Seattle. 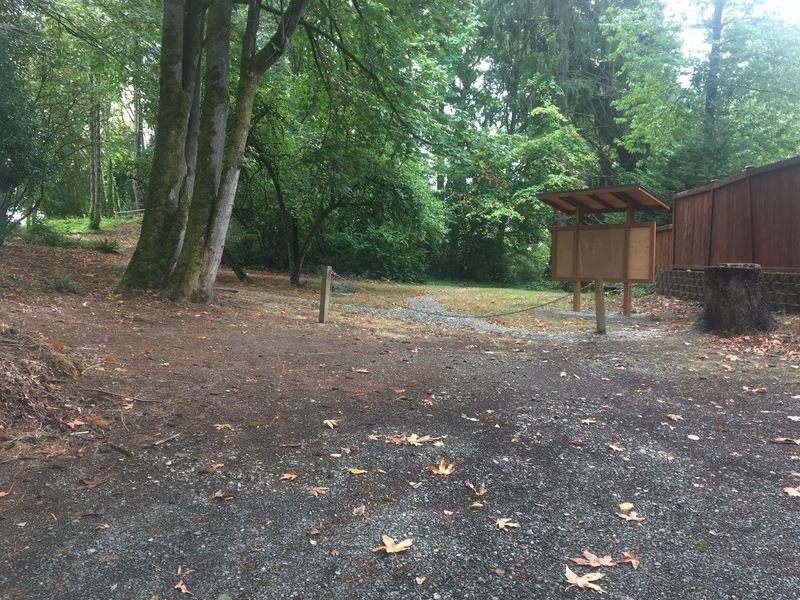 As of 1982, the city of Bothell holds the title to this cemetery. 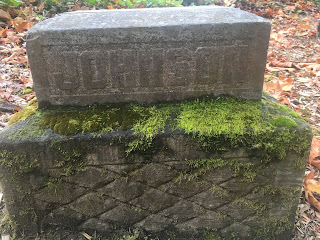 I never really thought about cemetery ownership, especially for these really old, historic graveyards. I found this quite interesting. Back to the cemetery’s occupants. 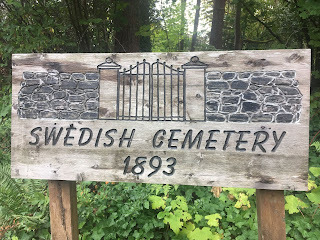 Thirty-nine known graves reside there and are listed by name on the nomination form to make this a historical landmark. 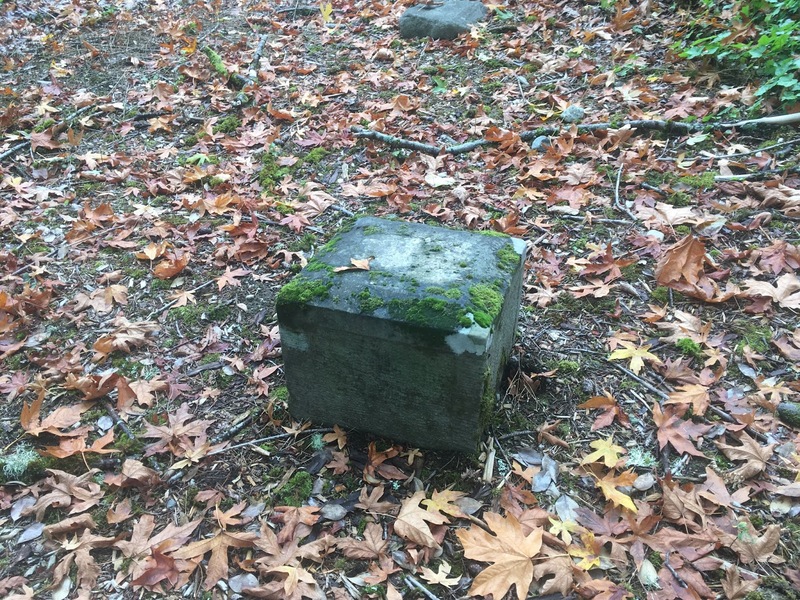 However, those might not include graves with lost records or any unmarked graves of transients buried there. Of the thirty-nine listed people, nearly one-third (twelve) are children. These are unnamed children. The list has them as “Johnson child” or “Blumberg child”. So sad; not even a name. I wonder if they died in infancy. Thirteen Johnsons occupy space somewhere in that cemetery. Half of the twelve children had the surname Johnson. The poor family. I am so glad that people saw fit to preserve what is left of this historic sight. 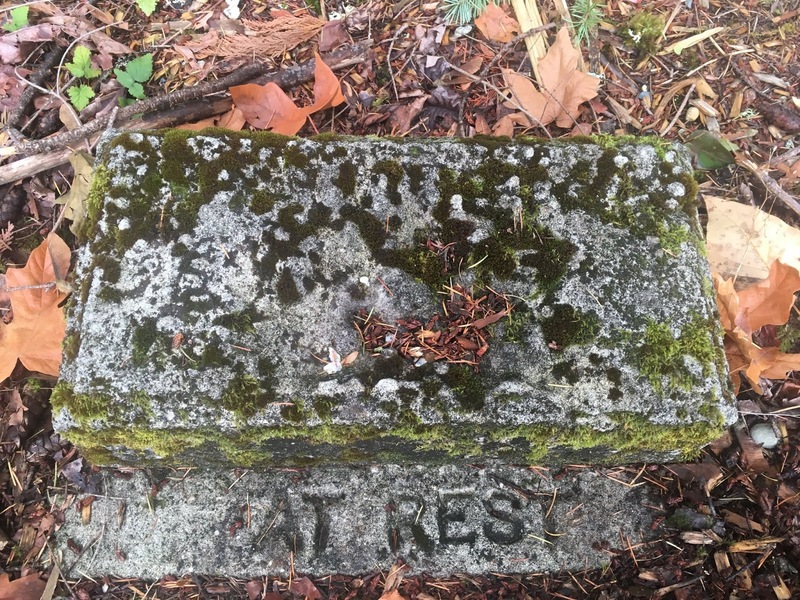 Even though most of the grave markers are gone or weathered away, at least a partial list of the people who passed this way is recorded for future generations. 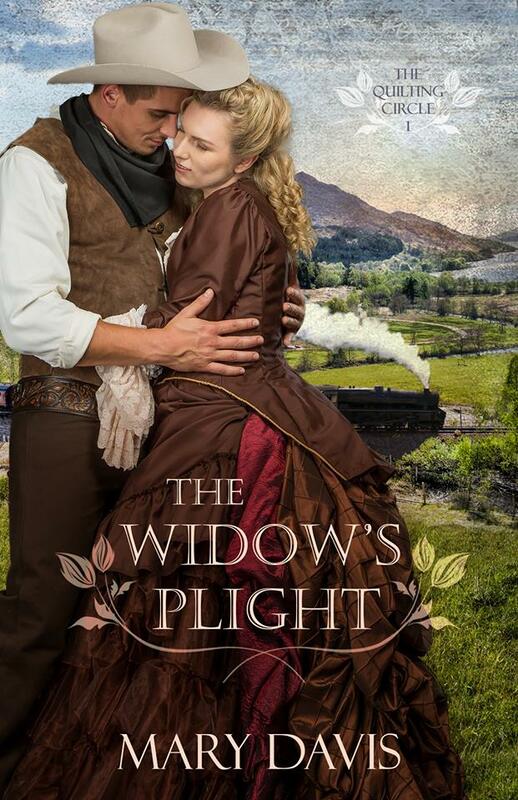 THE WIDOW'S PLIGHT ~ A sweet historical romance that will tug at your heart. This is book 1 in the Quilting Circle series. Widower Edric Hammond and his father are doing their best to raise his two young daughters. He meets Lily and her son when they arrive in town and helps her find a job and a place to live. Lily resists Edric’s charms at first but finds herself falling in love with this kind, gentle man and his two darling daughters. Lily has stolen his heart with her first warm smile, but he’s cautious about bringing another woman into his girls’ lives due to the harshness of their own mother. MARY DAVIS is a bestselling, award-winning novelist of over two dozen titles in both historical and contemporary themes. She has five titles releasing in 2018; "Holly & Ivy" in A Bouquet of Brides Collection in January, Courting Her Amish Heart in March, The Widow’s Plight in July, Courting Her Secret Heart in September, & “Zola’s Cross-Country Adventure” in MISSAdventure Brides Collection in December. Coming in January 2019, Courting Her Prodigal Heart (Book 3 in the Prodigal Daughter's series). 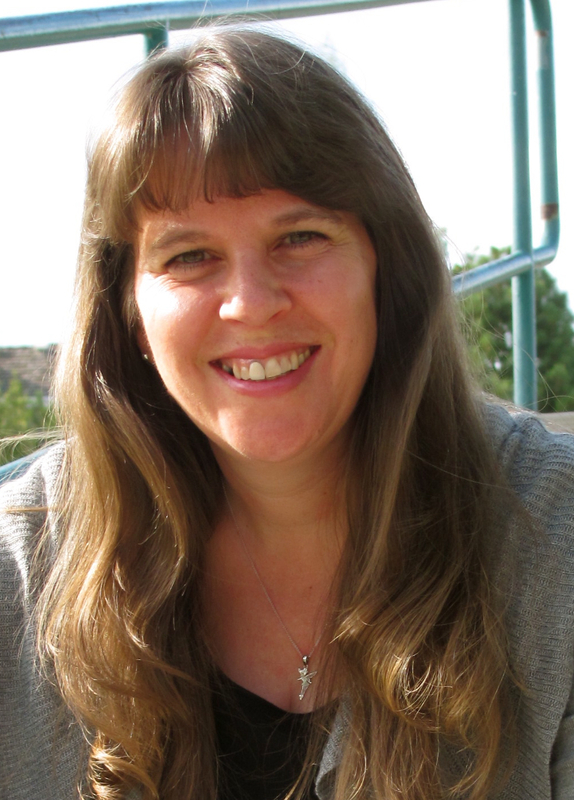 She is a member of ACFW and active in critique groups. Thank you for the post. Too bad that we don't care for the old cemeteries in our midst. I think there are workshops for how to clean old gravestones. A workshop on cleaning old gravestones sounds intriguing.